This month we have comedy in Australia, dancing in the Austrian Alps, Earth Day globally, 79 acres of flowers in Holland, poetry in Iceland, dancing in the desert (take your pick between Palm Springs or South Africa, or do both), grab some jazz in New Orleans (duh! We could just put this line in every month…) or go to the best film festival in New York. It’s all here, below, if you don’t believe us. There are plenty of jokes to be had in southern Australia with hundreds of International artists performing their shows stretched over three weeks. Next, rent a convertible and drive an hour or so west to The Great Ocean Road for breathtaking views for over a hundred miles drive. The monolithic Twelve Apostles, which are limestone pinnacles formed by erosion of the cliffs over time, are around four hours’ drive from Melbourne. Helicopter tours are also available. Woodstock up a mountain. 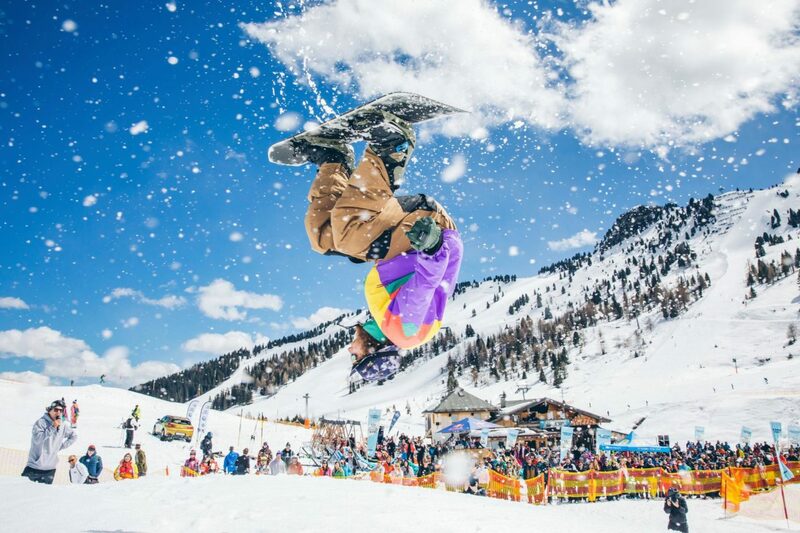 The world’s greatest show on snow. If you missed it in Canada last week, here it is in Austria. It’s all about EDM (electronic dance music). DJ’s mix in a surreal landscape with mind-melty visuals in the Tyrolean mountains. This year headlined by Groove Armada and Fatboy Slim. There are mountain stages, forest parties, alpine yoga and you can rave in an igloo. Fly into Innsbruck and drive there, or, you know, helicopter in to Mayrhofen. Up to you, no judgements. Earth Day is now celebrated annually on April 22 with events worldwide and in major US cities in support of the environment and to raise awareness of the need for the better care of our planet. Earth Day began in 1969, 50 years ago. Sadly, so many still don’t get the message. A popular festival combining culture and romanticism in honor of Sant Jordi, the patron saint of lovers in Catalonia. On this day it’s customary for couples to exchange gifts. Men receive a book and women receive a rose, although over time it’s evolved so both men and women can receive books and roses. Book and flower stalls are set up along the streets of Barcelona, where, for a glorious day, you can browse the latest publications and attend book signings with the heady scent of roses everywhere. Keukenhof Gardens (aka ‘The Garden of Europe’). This is best seen in mid-April, when there are some seven million flowers in bloom! Pathways of tulips, orchids and roses on 79 acres of 15th-century hunting grounds. 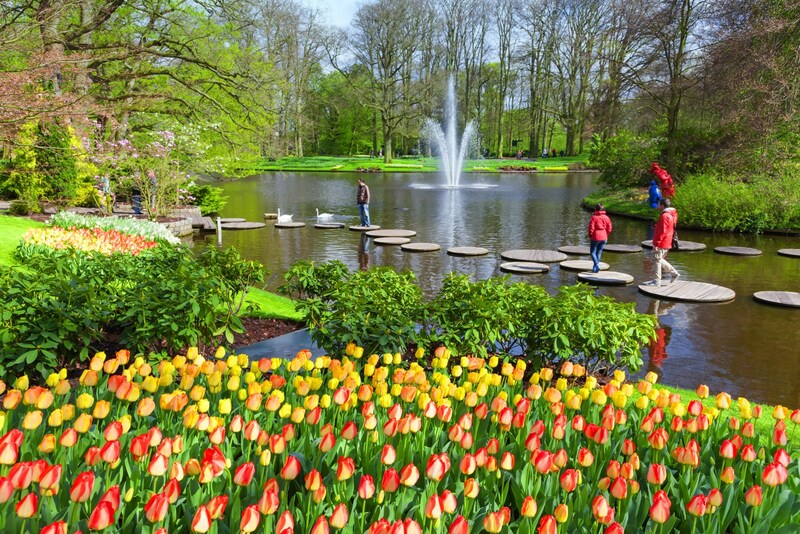 April 24 you can catch The Keukenhof Concert this year marking its 70th anniversary. Experience classical music in a magnificent garden in bloom. One of Europe’s most beautiful venues, and on of its sweetest moments. These are the largest tulip fields outside of Holland, in case you can’t make it to Europe. Galas, BBQ’s, bike tours, art shows and wine tastings are happening all month long. 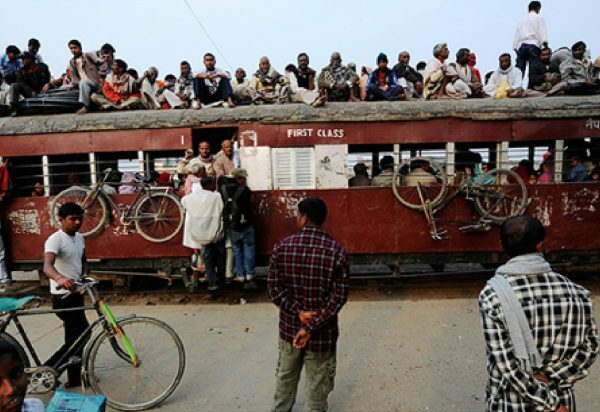 Weekdays are the least crowded. That’s all you need to know. 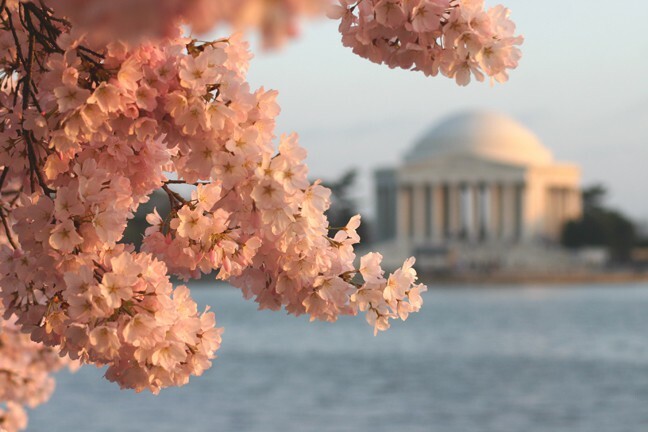 One of the US Capital’s largest events, celebrated to honor the gift, in 1912, from the Mayor of Tokyo, of 3000 Japanese cherry trees. This was to pay respect to the friendship of the two nations, as it stood decades before Pearl Harbor, and now each spring the capital is awash in pink blossoms. There are accompanying concerts, dance performances, parades, floats, fairs, art walks and a Japanese culture festival featuring films and workshops. Held every two years and becoming known as the most important literary festival in Europe. Attended by hundreds of international writers, including Nobel prize winners, there are readings, seminars, signings, all manner of celebrating the inspired arranging of words, and a Literary Ball! Here’s our deeper take on the occasion and Iceland’s year around devotion to all things literary. This year buzz along with Childish Gambino, Ariana Grande, Tame Impala and many others. Kanye West is scheduled for a surprise show (not that much of a surprise, I guess) on Sunday 21 with his ‘Sunday Service’, which just happens to be Easter Sunday. Tickets are sold out, although you can still get VIP passes in conjunction with hotel stays at some of the surrounding resorts, at around $4,000 and up. Here’s what we suggest for places to stay and see. Much more laid back than Coachella is California’s country music festival, Stagecoach. Headlining is Luke Bryan, Sam Hunt and Jason Aldean, but also featuring Tom Jones and Lynyrd Skynyrd, so it ain’t all about country. Tickets are still available. People’s Choice winner for Best Sand Castle Duo. They seem fun! 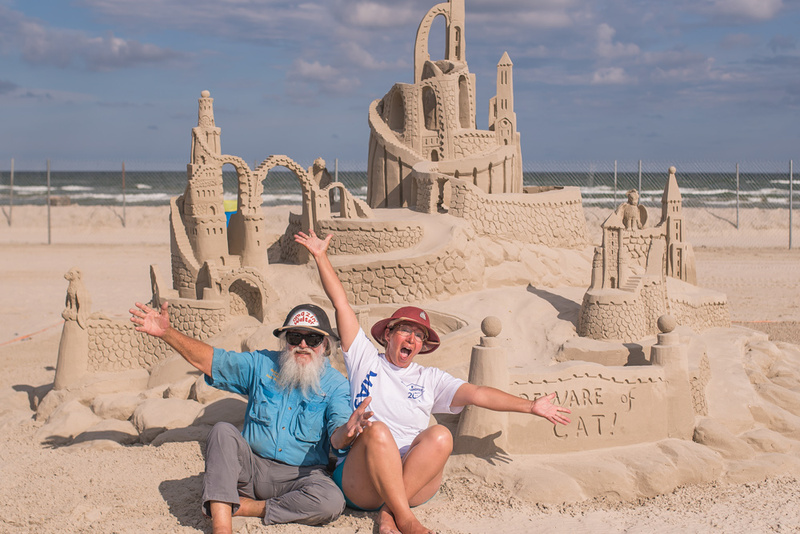 An internationally recognized three-day event featuring the biggest sand sculpture competition in the US, plus a musical line up of blues, rock and folk bands, all helping to raise money for the local community and its charities. Sand! Plus music, and charities! A day to honor the monarch. 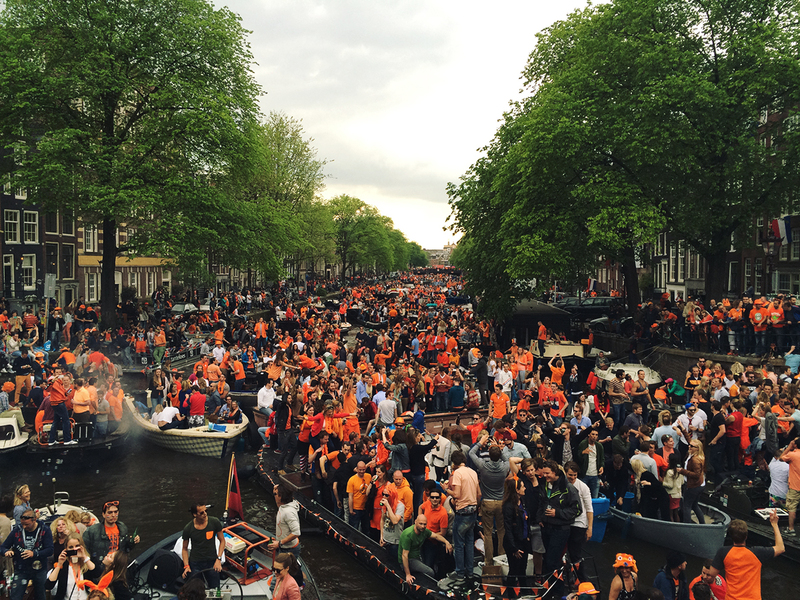 The event attracts around three million visitors to Amsterdam. There are parades on barges on the myriad of canals sauntering by the old cobbled streets spilling out of bars and cafes with people celebrating. In other words, it’s a lot of fun. 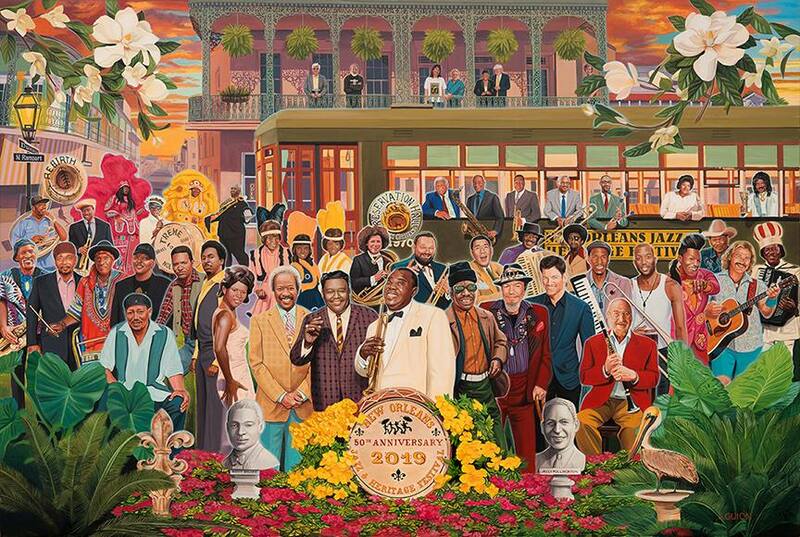 Jazz Fest is an annual celebration of the music and culture of New Orleans and Louisiana. Stretching over two weekends and now in its 50th year, this year has an insane lineup of artists, from Diana Ross to Van Morrison to Katy Perry, Los Lobos to Alanis Morissette, and oh there’s Tom Jones again! It’s one of the big daddies of US music festivals, and unparalleled in its intimacy between audience and artists. Begun by Robert De Niro and Jane Rosenthal in 2002, Tribeca Film Festival helped rebuild the cultural weight of New York after the 9/11 attacks. It’s now one of the nation’s top-rated film festivals (and must be the world leader in most sponsored and monetized — if you step on gum on the sidewalk, someone sponsored it…). 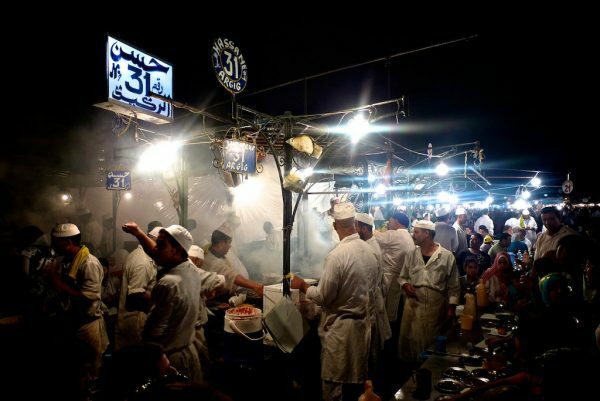 The festival showcases a broad diversity of independent films and documentaries from around the world. Plenty to see for everyone, from outdoor movie screenings along the Hudson River to workshops, storytelling, music and comedy, panels, family festivals and children’s movie screenings. This is special. Set in a remote desert landscape location on South Africa’s Northern Cape, it’s been happening since 2007, and is very similar to Nevada’s Burning Man Festival. A temporary art city is created from wood with stand-alone structures and sculptures and then burnt down on the final day. There are art cars, music, theatrical performances, no exchange of money, nothing can be bought, only, oddly, ice. We recommend flying into the small Tankwa airstrip, and taking food.